Picture this… A Starfleet ship, the USS TickTickVroom, is accidentally sent back to the year 2014 through a freak tear in space-time caused by an anti-matter explosion too close to a quantum filament. The only way to acquire the supplies needed to alter a stable Einstein Rosen Bridge to open a path back to the 27th century is to beam down to Earth and scavenge organic diodes from LG OLED TVs and cycle-olefin polymers from iPad Airs. Not wanting to draw undue attention from the shoppers of H.H. Gregg, and thus violating the Temporal Prime Directive, the away team modifies their communicators to strap to their wrists like a watch… a watch that looks startlingly like the De Bethune Dream Watch 5. Ok, so maybe that’s not how the De Bethune Dream Watch 5 (that just debuted at the 2014 Salon International de la Haute Horlogerie – SIHH – in Geneva) came to be. 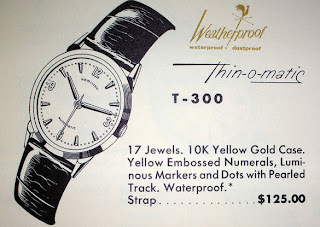 But, to me this is totally a Star Trek watch. The Dream Watch 5 has the same delta-wing lines and shape as any SciFi geek’s idea of a UFO or futuristic spaceship. Whereas the new Christophe Claret Poker has an incredibly innovative movement, the De Bethune Dream Watch 5 has a case and design that has never before graced anyone’s wrist. The De Bethune Dream Watch 5’s case is made of mirror-finished polished grade 5 titanium (see even the case material sounds futuristic). It measures 49 mm wide, 39 mm long and 11 mm thick. The over-sized crown has a one-carat cabochon cut ruby that totally looks like the outlet of a rocket or a warp nacelle. A small sapphire window gives view to the jump-hour, minute wheel and tiny little moonphase indicator. Unfortunately, on the underside (or top for that matter) there is no window or display to the movement. So sad. However, the back of the Dream Watch 5 is engraved with the names of De Bethune’s two founders, David Zanetta and Denis Flageollet. Powering the De Bethune Dream Watch 5 is De Bethune’s in-house Calibre DB2144, a self-regulating twin barrel mechanical hand wound movement with a 5 day power reserve, 32 jewels, silicon escape wheel, silicon and white gold balance wheel, balance-spring with flat end curve, triple pare-chute shock-absorbing system and spherical moon-phase indication accurate to a degree of one lunar day every 1,112 years. See, this baby isn’t innovative in terms of design only. That 329-part movement is absolutely incredible in its own right. Each De Bethune Dream Watch 5 is made-to-order and will cost around $165,000 (150,000 Swiss Francs). But, this is definitely my favorite watch of SIHH this year, so far. For more info, check out the video and press release below or visit De Bethune here. Transcending horology through artistry in order to leave room for the emotional force and the beauty of the work: such is the message delivered by David Zanetta and Denis Flageollet. 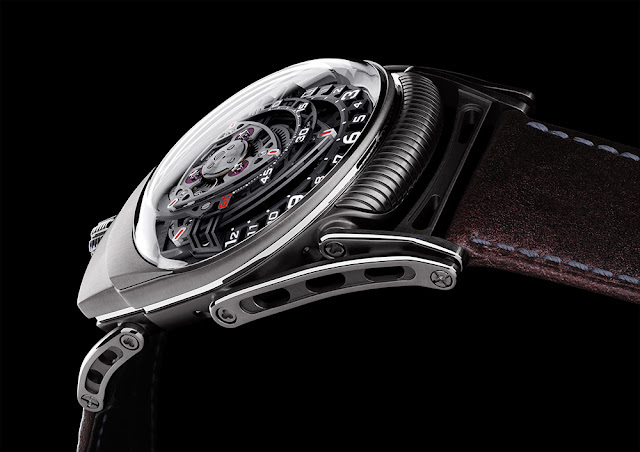 The quest undertaken by De Bethune and expressed through its timepiece is intended to embody 21st century watchmaking. Understanding historical principles and the works of the Great Masters serves to build contemporary creations and to establish aesthetic codes aimed at perpetuating the timeless nature of watchmaking. Tomorrow’s watchmaking is the object of daily study and thought for David Zanetta and Denis Flageollet, who interpret it through all the entire range of horological creations of De Bethune. The Dream Watch collection is at once the most extreme and the most accomplished embodiment of this creative folly. Whether it stems from the past, is expressed in the present or foreshadows the future, the beauty in art is truly eternal. The Dream Watch 5 aims to nurture this aesthetic ambition thanks to its design codes and the means borrowed from the field of horology favoured by the brand founders. This model positioned on the frontiers of an eclectic watchmaking scene is indeed not necessarily defined as a watch, since its horological attributes – however innovative and high-tech – do not constitute the primary interest of this creation. An authentic wrist sculpture, Dream Watch 5 derives its unusual shape from its predecessors, from the bridge of Dream Watch 1 through to the case of Dream Watch 4: it encapsulates an ongoing work of research on shapes, materials and colours. In step with successive creations, the design has been pared down to a cambered delta- shaped motif representing the major element of the collection’s aesthetic and more generally that of De Bethune watches. Taut lines and distinctive depth effects: Dream Watch 5 owes its avant-garde character to aesthetic codes relating to space, movement and speed. Its soft curves, together with the silky cambered shape of the titanium case adorned with a perfectly executed polish, endow it with timeless elegance, while a cabochon-cut ruby gently adorning the crown sets the perfect finishing touch. The miniaturisation of the mechanism demonstrates a clear-cut determination to give pride of place to design – as admirably demonstrated by the diminutive space allotted to the display of the hours, minutes and moon- phase functions. 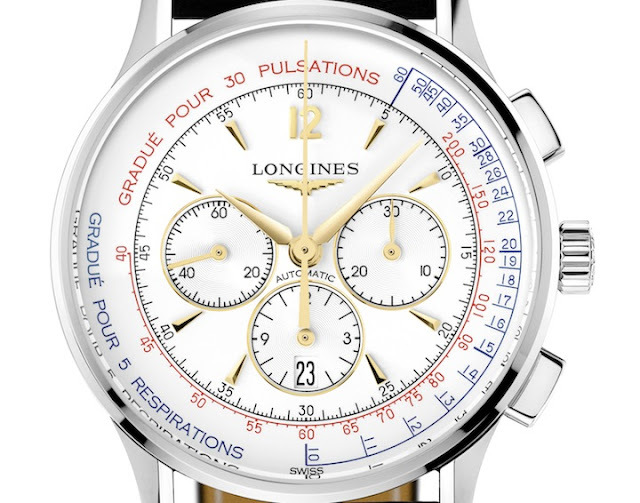 This aesthetically-oriented approach deliberately and effectively diverts the meaning of conventional horological terms as well as the rational comprehension of the object.